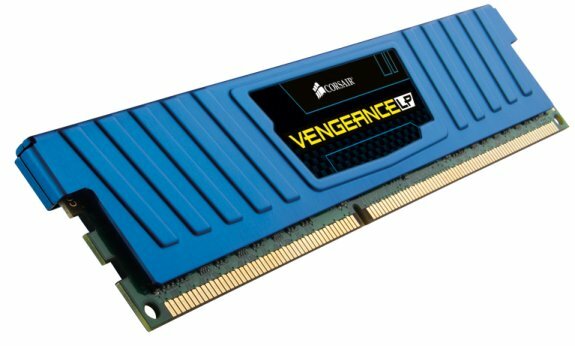 Corsair introduced a new line of Vengeance Low Profile DDR3 memory kits. Corsair®, a worldwide designer and supplier of high-performance components to the PC gaming hardware market, today announced Vengeance LP, the latest addition to the award-winning Vengeance™ Series high-performance DDR3 line. "Vengeance is the premier choice for system builders and gaming enthusiasts who want dependable, overclockable memory for a great price." said Giovanni Senna, Director of Memory Products at Corsair." Our new low-profile Vengeance LP memory gives enthusiasts more freedom and flexibility in building high-performance PCs." Vengeance Low Profile memory kits will initially be available in the following configurations. All module kits are compatible with current Intel and AMD platforms. Corsair Vengeance LP memory kits with Jet Black heat spreaders are available immediately from Corsair's worldwide network of resellers and distributors. Kits with heat spreaders in Cerulean Blue and Arctic White will be available in late June, 2011.